Local residents allied with Second Amendment groups socked Pittsburgh city leaders with legal challenges after a controversial gun control package was signed into law Tuesday. 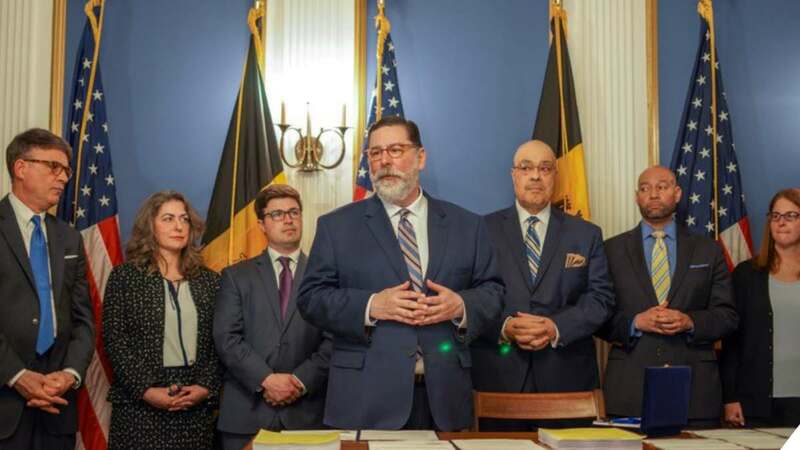 Mayor William Peduto, a longtime member of the Bloomberg-formed Mayors Against Illegal Guns organization, signed four local ordinances aimed at piling on restrictions on guns, often going past Pennsylvania own laws. Peduto, who acknowledged previously that the move could trigger lawsuits, remained steadfast in a public ceremony to approve the legislation. “If Washington and Harrisburg refuse to recognize this is a public health emergency, and refuse to stand up to gun manufacturers, then we must take action to challenge laws and protect our people,” said Peduto, a Democrat, to a group heavy with state and national gun control advocates. The ordinances will ban the public carry of loaded magazines that can accept more than 10 rounds of ammunition, implements Extreme Risk Protection Orders which would pave the way for temporarily firearm seizures from those thought to be a danger to themselves or others, and other restrictions on guns deemed to be “assault weapons.” However, the Commonwealth’s broad firearm preemption laws likely preclude the city from enforcing the new restrictions. It is this argument that gun rights groups cited in their lawsuits against the city once Peduto pulled the trigger. A separate suit, against the City, Peduto, and six City Council members, was filed by a quartet of pro-gun groups: the Firearms Policy Coalition, Firearms Policy Foundation, Firearms Owners Against Crime, and the Allegheny County Sportsmen’s League. As for Peduto, whose move was acclaimed by Moms Demand Action and similar organizations, state Rep. Daryl Metcalfe announced he was seeking to impeach the Mayor. Metcalfe, a Republican from the city’s suburbs, is the majority chair of the GOP-controlled Pennsylvania House State Government Committee.